It should surprise no one when I say that I would squee receiving either card and happily give them to the awesome people that I know. 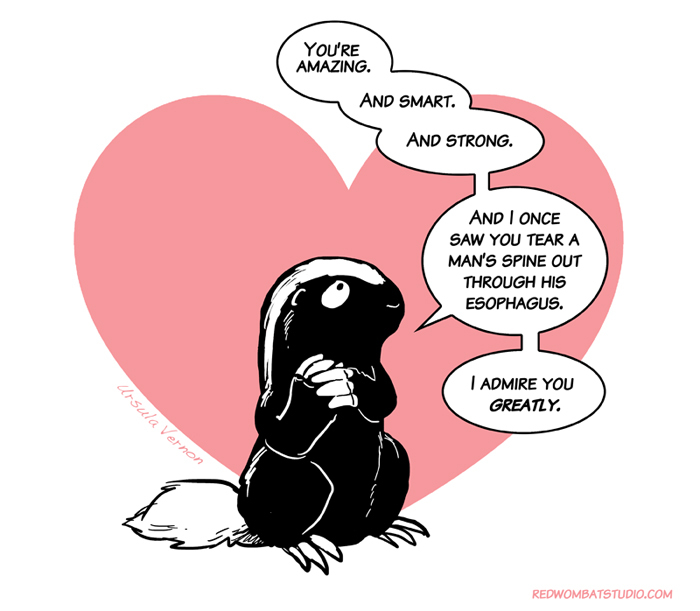 And according to Vernon, she’s pleased to let people print these cards out themselves to share the special brand of Honey Badger love (just please don’t use them to make money). 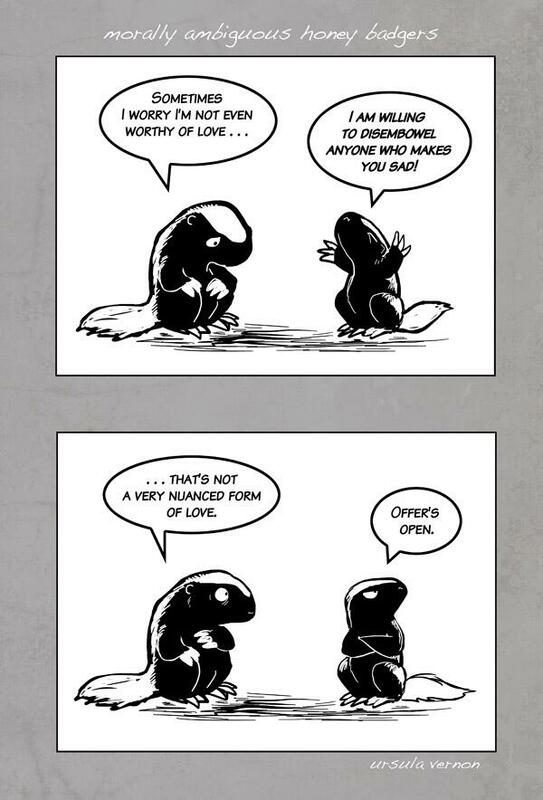 If you want to see more of Vernon’s awesome (and Hugo-Award-winning) art, check out Red Wombat Studio. 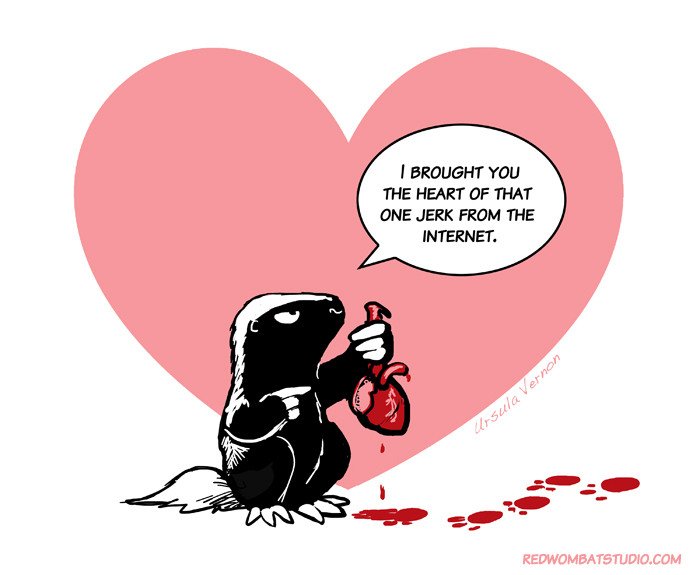 This entry was posted in Comics and tagged honey badgers, SFWA, Ursula Vernon, Valentines by Michi Trota. Bookmark the permalink.